Our experienced staff are professionals in their fields who love working with teens. Each of them has a personal and growing relationship with God, which they share with our students through mentorship and in daily interactions. Matt and Heather have been married for 21 years and have two children, Isabelle age 19 and Isaiah is 17. They have been in Youth Ministry for over 12 years and senior pastors for 5 years. They have been working with Teen Challenge adolescent ministries for teen girls for the last 6 years. 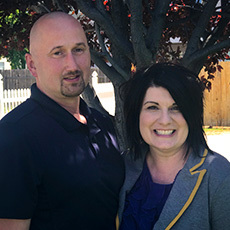 They moved to Boise in November 2015 to become the Directors at Boise Girls Academy. They love to watch and see all that God can do in these hurting young ladies and also in their parents as well. Matt loves to cook and eat delicious food as well as yard-sale as often as possible. Heather enjoys baking, shopping, and spending time with her family. Angela is an Idaho native. Born in Jerome Idaho, she has lived and worked as a medical assistant in the Boise area for 14 years. She is a mother of two beautiful girls, Ashley and Amanda, and a grandmother to two sweet little girls, Amelia and Lucy. Having struggled through her own teen years, Angela felt the call to work with troubled youth when she was just 17. Throughout the years, she has worked in several areas of ministries in her local church, working with women, young girls, and youth. 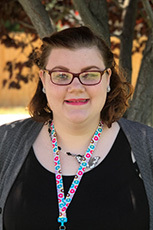 Five years ago she had the opportunity to come on as a volunteer at Teen Challenge, and then was hired 3 ½ years ago as Direct Care staff. Angela takes care of many things around the center and wears a lot of different hats as the Education Coordinator, but mostly she has a passion for God and for seeing the lives of young girls healed and restored. Angela loves spending time outdoors camping, fishing, hiking, gardening, traveling, and spending time with her family. Lenae comes to us with a deep desire to mentor teen girls and share with them the freedom that is found in Christ. She grew up in a Christian home in Wisconsin and is the middle child of five. She graduated from North Central University with her BA in Psychology and has worked in youth ministry for the last seven years. Lenae recently moved to Idaho with her husband and both have a heart for reaching today’s youth. She volunteers her time assisting her husband in his ministry, as he is the youth pastor of a local church here. She loves spending time with her family, hiking, reading, and crafting. She feels confident that Boise Girls Academy is where God has called her and is excited to plant roots in Idaho. Katie was born in California and lived there until the age of 10 when she moved to Washington. 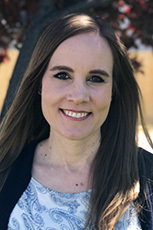 She moved to Idaho a year after finishing her Bachelors in Children and Family Ministry from Northwest University in Kirkland Washington. Her parents are pastors in Washington and have encouraged her serve God fully in everything that she does. 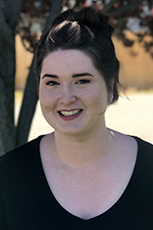 While at University, Katie worked for the Bellevue Department of social and Health Services as a visitation supervisor for foster children and their parents. She now works full time staff member for BGA. Her passion is ministering to children, young adults, and their families. Katie loves creating art, exploring, party planning, and being with friends and family. 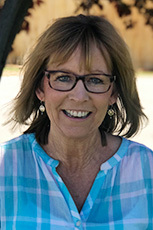 Kathy is an Idaho native who spent many years homeschooling her three children as well as teaching in pulic and private schools. 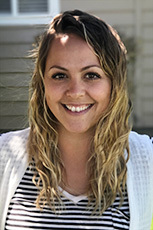 She has also enjoyed working with teen girls and young women throughout the years, helping them overcome obstacles and encouraging them in their spiritual journey. The Lord recently brought her to Boise Girls Academy to oversee and guide the girls in their education. She has a Bachelor’s degree in Education and a Master’s degree in Biblical Counseling. In her spare time, she loves spending time with her family and friends, volunteering in children’s ministry, raising golden retrievers, woodworking, gardening, hiking and reading.